Such a short story but so dramatic! Great job! It has gotten me in quite a lot of trouble at school, especially when my mother, who also taught at our school, was in our class! Oh no. Yawning is never good while working. Nice write. Well done, and congratulations on making it to the end of the challenge! 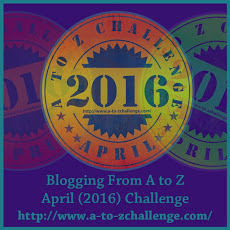 A to Z is over, and here’s the full list of my posts on the topic, “Improve your life, Improve your mind. Thank you, Shirley! Congrats to you too!